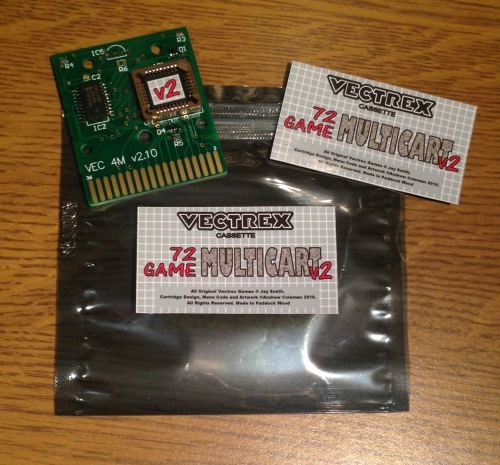 This is the latest version of my 72 game multicart. 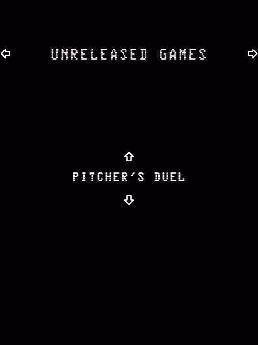 It includes all of the original Vectrex releases (except for Animaction), and a variety of prototypes, homebrew games and demos. The version 2 multicart is now fully compatible with all versions of the Vectrex, including the 'no-buzz' consoles with 7ADB BIOS. The cartridge is menu based and all of the games are organised in categories (left and right on the joystick select a category, up and down select a game). For purchasing details, please see my shop page. 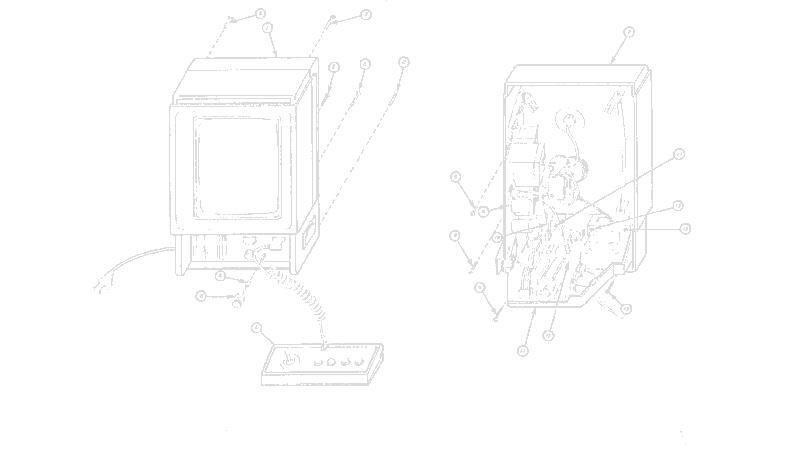 The multicart is sold as a bare PCB only, supplied in a labelled anti-static bag. 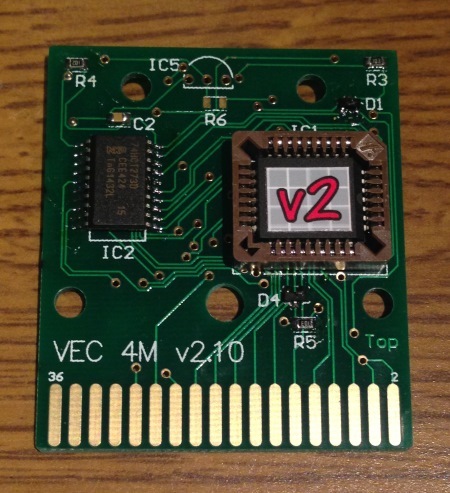 The board is perfectly safe to use as-is, but a cartridge label is included if you want to re-house it in the shell from an old Vectrex game. I have no current plans to sell a cased version.